There are many things to keep in mind when choosing an expert witness. If you choose an expert that has strong engineering background but doesn not have extensive experience in the are that you need an understanding of things could turn out poorly. In some cases the Expert could be disqualified. In other cases they simply are unable to provide consulting guidance and a true understanding of the generally accepted industry practices, processes, and technical expertice. Finding the right Expert Witness may be the critical link to your case because as an attorney, your expertise is the law and not forensic analysis. Randy Phares is an expert in forensic analysis for packaging, especially Corrugated Packaging, Pallets, Warehousing, Loading, Load Securement and Shipping (Transporation / Trucking). Through forensic analysis it is possible to determine if a corrugated box was designed to withstand the stresses that they are exposed to. The materials involved, adhesive additives, coatings, humidity, weight of the product, how they are stacked on a pallet, what kind of pallet they are stacked on, etc. are all factors that can cause packaging to fail. The length of time that the product is in the warehouse, how many units high it was stacked, how it was loaded and stacked in a trailer, and even whether there was a slip sheet on the pallet can affect this as well. Loads can collapse or fall in a warehouse or truck, especially during loading and unloading if proper processes are not followed. In addition, there are Load Securement processes that need to be followed by loading and/or shipping carriers to protect the product, keep it from causing an accident on the roads and keep them from injuring people during loading and unloading. For these types of cases, you need a Packaging, Warehousing and Shipping Expert Witness that can truly determine the causes or contributing factors that caused the failure often resulting in an injury. Randy Phares has run a Corrugated Testing Lab for the largest Corrugated (Box) manufacturer in North America at the time. He was also a Quality Manager and ran a Distribution Center with multiple warehouses and managed his own fleet of trucks. It is possible to find an academic Packaging Expert, but they often do not have the experience in the real world application of the theories to do an adequate job in many cases. In addition, it can be very challenging to find a person that has expertise in all facets of an idustry. Please review the qualifications of Randy Phares and you will see that he has held most jobs in the Corrugated Box, Folding Carton and Distribution Industries. He has also been a full-time consultant in the industry since 2010. He has testified in Court and Depositions, as well as provided consulting assistance and producing Expert Reports in an Expert Witness capacity. He has done so for cases that involved Packaging Machinery, their design and technologies, fair market values and build costs. He has worked on cases that involved Trade Secret misappropriation as well. He has done cases that involved crating, pallets and corrugated boxes that failed causing injury. He has done cases where product was not properly secured in the semitrailer, causing it to fall and cause an injury. If you are working on a case that involves packaging, warehousing, or shipping failure, call Randy Phares and see if he would be the right fit for your case. Randy Phares and Dr. Box Consulting, Inc. provides a variety of Consulting Services. Randy Phares set the Corrugated Packaging Standards for the Country of Georgia in Eastern Europe as a Consultant. Other projects have included, waste reduction, quality improvement, safety improvement, profit improvement, lean manufacturing, machine productivity improvement, overtime reduction, on-time-delivery improvement and many other business improvement areas. Dr. Box Consulting, Inc. has provided Packaging Design Services and done "Cost Saver" projects that saved clients millions of dollars. This was done by assessing their packaging lines, improving their efficiency, reducing their material cost and designing packaging that was equally effective while significantly reducing the number of SKU's and cost of packaging. If your company manufactures products, it is likely that you could improve your efficiencies in your packaging department and reduce your packaging costs by utilizing better and more flexible designes to protect and display your products. Randy Phares is also an Expert in Branding and was selected to be on the Panel of Experts for Packaging Launch. Packaging Launch accepted product information from customers and then the panel of Experts determined what types of packaging and designs should be used to increase the sales of their products. These included, cosmetics, food products, household goods and many others. When designing packaging, proper color choices, placement and designs of logos, names of products, placement of wording on the product and packaging are all factors that can affect your sales. If you think there is room for improvement in your branding within the packaging arena, we may be able to help you. He has done market feasibility studies for the largest containerboard and box manufacturer in Latin America. These included market assessments to detemine the viability of buinding new plants in specific areas. This included econimic analysis, trend analysis, assessment of potential competitors including strengths and weaknesses, it included market pricing analysis and a determination of potential customers. He has done projects to help companies expand their markets. Once such project involved a top global manufacturer of packaging equipment that wanted to increase their sales in the Unites States of America. Dr. Box Consulting, Inc. was hired to determine why their products were not selling well in the USA and to assess the strengths and weaknesses of their competitors in addition to determining the market share that each had in specific machinery types. Dr. Box Consulting has also been hired to find suppliers, create lists of box manufacturers, and even to hold off price increases. Dr. Box Consulting, Inc. provides Executive Coaching Services as well. Randy can help you build a stronger Resume as he has been a Certified Professional Resume Writer. He can help you build up your accomplishments to speed up your career. 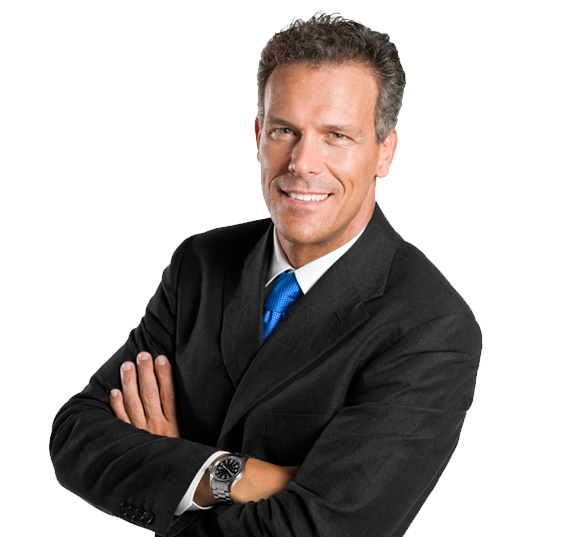 He can help you manage people and train you and your team. Randy Phares teaches the Lean Manufacturing for Packaging Professionals course. He has put on the Paperboard Packaging Group Expo on Leading World Class Performance. He has spoken and keynoted National, International and Local conferences. He has been hired to do DOT Packaging HAZMAT training for paper, rigid and flexible packaging. He has done leadership training, sales training, machinery training, new Supervisor training, safety training and much more. If you or your business have a packaging, pallet, warehousing or shipping case with significant enough damage and complexity to need the services of an Expert Witness, contact us to see if we are a good fit for your situation.